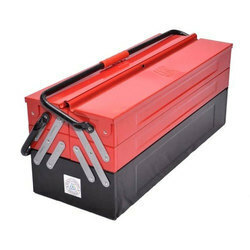 Manufacturing of Tool Chest Cabinets with a qualified team of engineers and vast knowledge, experience in marketing and administration the company made rapid development and expanded its activity to introduce wide range of product. With the trademark of “Inder & we are giving services as custom tailor make tool boxes. 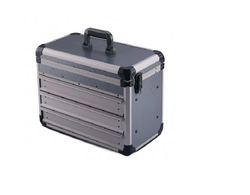 We offer a wide range of Heavy Duty Tool Boxes (TB-802) to our clients. Our clients can avail these at market leading prices. Storage Capacity (Kg): 50 Kgs.